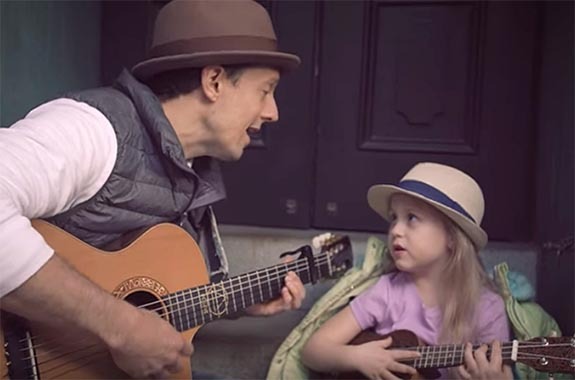 Inspired by a spiritual encounter with a Buddhist monk while visiting Myanmar in 2012, Mraz uses the lyrics of “Have It All” to bestow dozens of heartfelt wishes to his fans, especially the children. “Have It All” appeared as the second track of Mraz’s sixth studio album, Know. The album charted in nine countries and peaked at #9 on the U.S. Billboard 200 chart and #10 on the Canadian Albums chart. The song’s official video features more than 100 performing arts students from Mraz’s hometown of Richmond, Va. Although he grew up in Virginia, Mraz got his big break after moving to San Diego as a 22 year old and becoming an audience favorite at the coffee house Java Joe’s. In 2002, he signed with Elektra Records.